Churchill Floor plan. 3.94 acres Private Lot. Many upgrades! Gourmet Kitchen. Morning Room Bumpout. Family Room Bumpout. Hardwood Floors on main lvl Dining & Living. Huge Master Bedroom w/ large walk-in closet. Finished Rec Room & Full Bath in Basement. Mins to the Brooke VRE. Stop by model home for a personal tour. 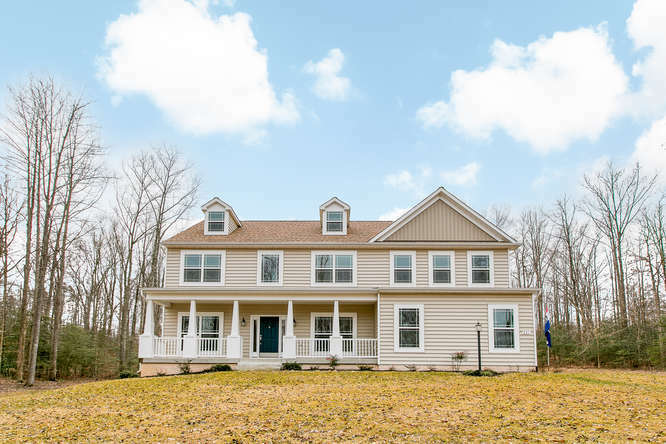 This entry was posted in Featured-Homes, ready-homes, Stafford-VA. Bookmark the permalink.